The price is for a unit of 1 meter, around 3.3 feet. This product will ship in .5 (half) meter increments as packed by the factory, 1 meter will come in 2 packages containing .5 meter in each package. 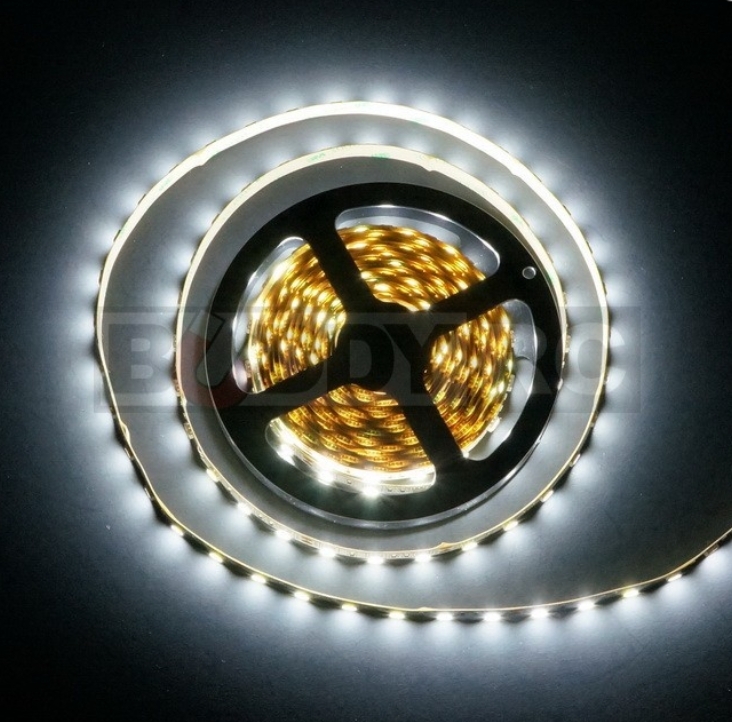 This extra bright light strip comes with 60 LED's per meter. The LED unit is larger than the standard brightness strip, and therefore is much brighter and takes more current. We recommend this LED strip for medium to large scale aircraft and cars. 3 LED lights are arranged in a group. you can cut the strip and make new strips or extend strips to make any combination of 3 lights. Comes with adhesive tape backing for easy mounting. Flexible enough to be bent at any angle. Easy to use. Just peel and stick. The standard input voltage is 12V DC. 2S and 3S LiPo, 12V DC power supply, or 12V BEC can be used as power sources, but never connected it directly to a 110V AC power. It will damage the strip. JST connectors in the above "bought together" box is recommended for the strip. 1. the back adhesive protective paper was removed. 2. a strip was cut to pieces. 3. Strip or electronic parts were burnt in soldering. 4. Showed signs of use or abuse.